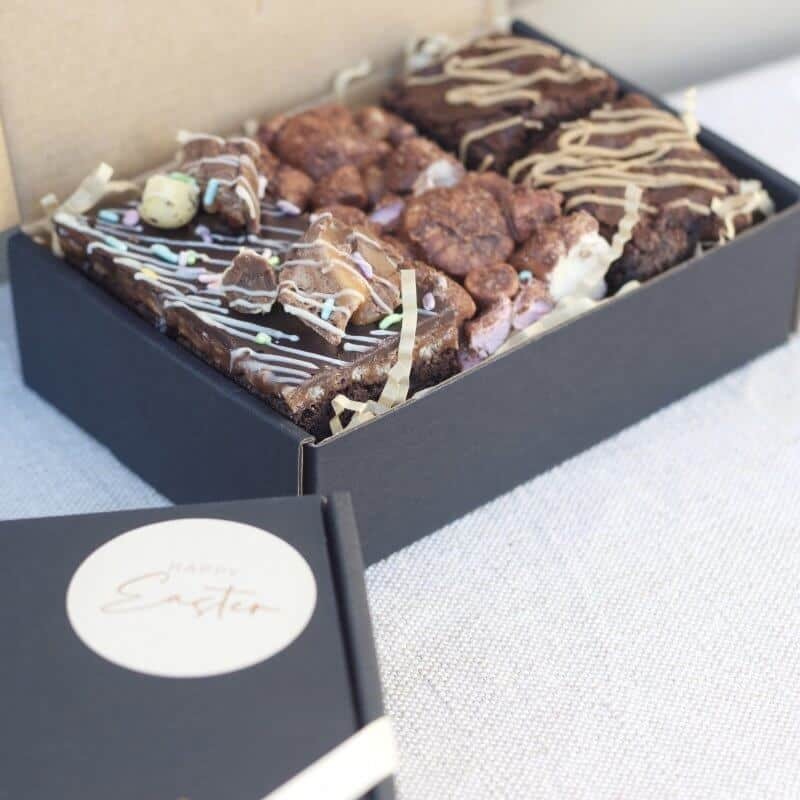 Treat yo-self or anyone this Easter with a 6 pack box of our signature loaded chocolate brownies! Free personalised message included on a luxe ‘seriously delicious xo’ gift card. 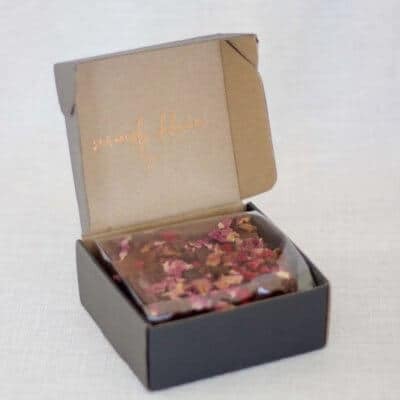 Handcrafted using only the freshest of ingredients, including the finest coverture Belgian chocolate, farm fresh free range eggs and premium Australian butter to create a moist chocolate fudge brownie. 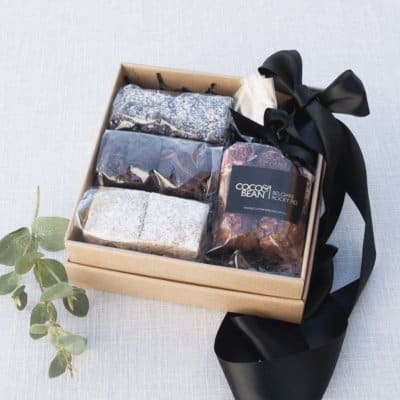 Includes an assortment of chocolate easter egg brownies and rocky road brownies. Next day delivery Sydney Metro, Melb, Bris, Canb, Perth, NSW cities. STORAGE: Keep in a stable temperature below 20 degrees, we recommend best keeping your brownies in an airtight container in the refrigerator and bring to room temperature prior to serving. 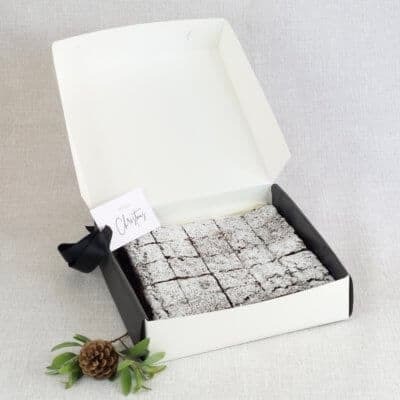 SHELF LIFE: Our brownies are best enjoyed asap but will keep up 2 months.